Frequent leaks in the system due to cracked or broken irrigation lines. Many systems become obstructed by tree roots or the plastic piping that feeds the system has become too old and worn. Both of these are signs that the piping needs to be replaced and, if roots are an issue, rerouted. Sprinklers are beginning to consistently break. Outdated systems will have seen far too much of that Florida sun to be reliable. Remember that these fixtures are a heavy duty plastic but even they can’t stand up to the intense heat forever. If you’re noticing many of your sprinklers aren’t watering properly, you may need to replace them. Intermittent power losses to the system. Irrigation timers can also go bad. From electrical shortages to weather damage over time, these components also have a shelf life. If you’re noticing that your system comes on outside of its scheduled cycle, or not at all, it may be time to replace it. With over 20 years of experience and many irrigation repairs under our belts we’d be happy to take a look at your system. Give us a call at 407-446-9368 and we’ll set up a time to meet with you to discuss your concerns. I like that you talked about how you must consider repair or replacement for your sprinkler system if it’s having frequent leaks in the system because of broken irrigation lines. I noticed that there’s a certain spot in my lawn that remains muddy even when the weather is dry. 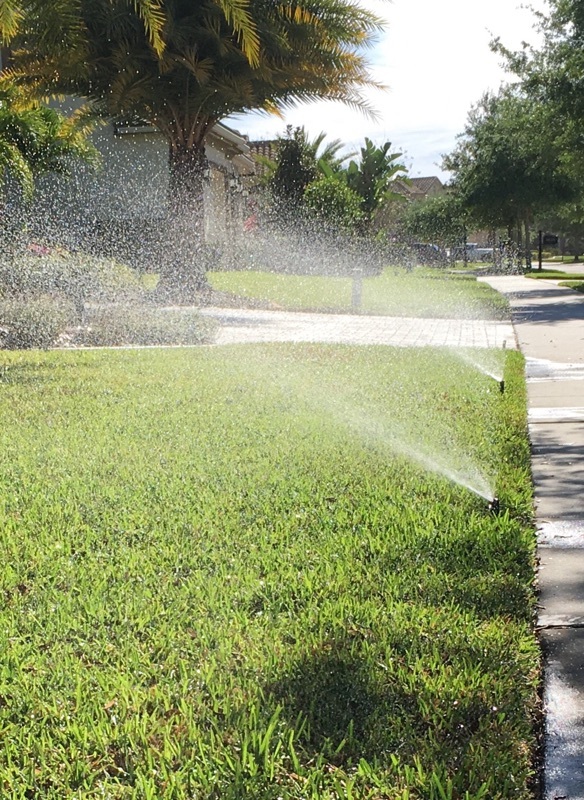 I’m afraid that the leak coming from the sprinkler system may damage my lawn, so I will make sure to have my sprinkler system repaired as soon as possible. I agree, if the sprinkler system is in constant need or repair then it might be time to upgrade. After all, if a sprinkler is constantly breaking down and needing to have the leaks fixed then it is not doing its job. In fact, it might even help to talk to your usual repair company about the options that you have available for replacing the system or upgrading it.